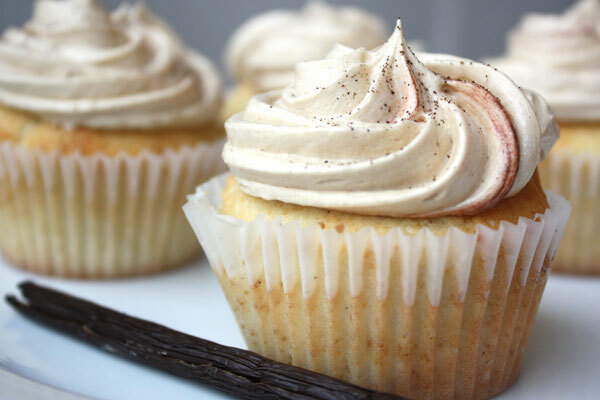 Coffee-flavored cupcakes are topped with a Vanilla Espresso Swiss Meringue Buttercream. Yum. 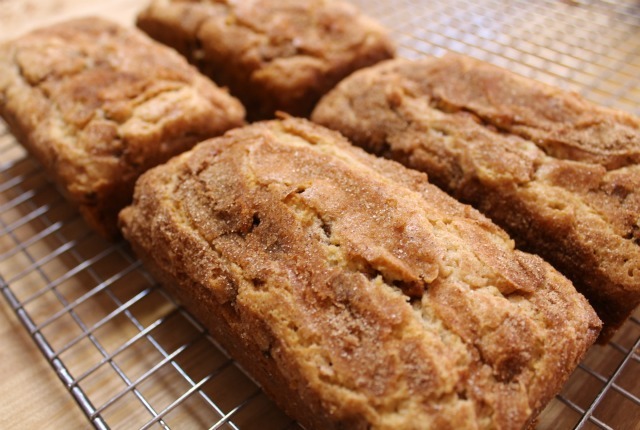 Definitely a great breakfast kind of cupcake without the frosting! Preheat oven to 350ºF and line cupcake pans with paper liners. In the bowl of a stand mixer fitted with the paddle attachment, beat the butter at medium speed for about 30 seconds. Add the sugar and beat until light and fluffy, about 3 minutes. Add the eggs, one at a time, beating well after each addition. Attach the bowl to the mixture (fitted with the whisk attachment). Starting at low speed and gradually increasing to medium-high, beat the mixture until the bottom of the bowl cools to room temperature and the egg whites are thick and glossy and form soft peaks. While mixing, add the butter, a few tablespoons at a time, until it has all been incorporated. Continue mixing until the frosting comes together. Switch to the paddle attachment and over medium speed, add in the vanilla extract, vanilla bean seeds, coffee mixture, and salt. Beat until well combined and taste and adjust flavorings as necessary. *Note: This recipe made just enough frosting for to frost 16 cupcakes as shown. If you like a lot of frosting on your cupcakes, you may want to make 1.5 times the recipe.